Much of the coverage regarding addictions tends to focus on younger people. As drug taking and binge drinking fill the headlines, it is easy to forget that everyone is vulnerable to addiction, irrespective of their social status, gender, or age. The elderly receive perhaps the least coverage of any social group in Britain, yet are just as susceptible to the problems of addiction as anyone else. In marked contrast to the younger members of society, senior citizens are less likely to become addicted to illegal substances. Older people are less likely to come into contact with dealers and the social groups associated with drugs. They also tend to have stronger reservations about experimenting with illegal substances. Therefore, addictions among the elderly tend to be reserved to legal substances and behaviours. 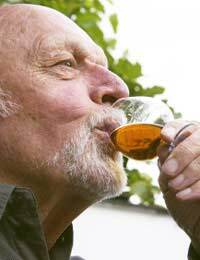 Alcohol addiction is common among the elderly. In Britain, alcohol is freely available, relatively cheap, and its presence in the home is generally considered acceptable. It is unclear what proportion of the elderly have an alcohol dependency problem, but the figure could be as high as 17 percent among men, and seven percent among women. One reason it is hard to detect alcoholism in the elderly is that older people tend not to admit to such problems as readily as younger people. This is an important consideration, as alcoholism in later life is far more dangerous than when we are young. Organs such as our liver are less able to cope with large quantities of alcohol in old age. And those who carry their alcoholism into old age are likely to suffer from a range of related illnesses. Amongst long term alcoholics, it is likely that their alcoholism will prove fatal. The elderly are also susceptible to addiction to prescription drugs. Painkillers and sedatives, often prescribed by a doctor to treat one problem, can be very addictive, and become a problem in their own right. Again, in old age our bodies are less able to cope with large doses of painkillers and other medicines. Addictions to these medicines can lead to kidney failure, cardiovascular disorders, and a range of other potentially fatal problems. Again, it can be difficult to detect these addictions among the elderly, as older people often bear a greater degree of guilt than their younger counterparts. Nicotine addiction is a common problem amongst the elderly. An addiction to cigarettes is commonly formed much earlier in life, and most elderly smokers will have been smoking for many years. The harmful effects of smoking are massively more damaging in old age, with cigarette addiction being linked to heart disease, lung disorders, stroke, cancers and even mental illness. It is also more difficult for older people to give up smoking, as the habit has become so firmly entrenched. Perhaps for this reason, amongst some elderly smokers there is a sense of resignation: Why give up now, they ask, as we all have to die of something? This rather pessimistic logic ignores the fact that many elderly people live longer, happier lives once they are free from addiction, and that the diseases incurred by smoking can be the most painful and least treatable of all the diseases of later life. The elderly are susceptible to many types of addiction that can, in a number of ways, damage their quality of life. Here we have concentrated mainly on legal substance addiction, but other addictions can be just as harmful: behavioural addictions such as gambling, for example, can be enormously harmful to older people, especially when they are relying on a pension for life's necessities. The bottom line is that whilst older people are vulnerable to many of the same addictions as the young, the negative effects can be far worse. If you have elderly relatives, the best way to reduce their vulnerability to addiction is to talk to them, and spend time with them. One of the most common complaints among older people is loneliness, and they can often turn to addiction in answer to being alone. Talking can encourage people to open up a little, so be aware: Relatives might be happier admitting a problem or addiction to you than to a health professional. Consider what you can do to reinvigorate the lives of your senior relatives, and remember that none of us is getting any younger! Bear in mind how you would wish to be treated one day, when you become old. I am a 65 year old alcoholic who tries to manage the problem. At the moment I am not doing very well and suffering low self esteem. I have just recently moved house after 3 year spell of abstinence and am struggling to get back on track. I know what I have to do but my stupid brain keeps sending me in the wrong direction. Just someone to share with would be nice so I know it is not just me who is the stupid one. I am sorry to hear this. Alcoholism, self-esteem and depression can all go hand-in-hand and I can only suggest finding support from others in the same or a similar boat. So I have directed you to the site, Friends in Need, link here which may offer you some support. The fact that you realise you have a problem, is half the battle. The other half is needing to be kind to yourself. You have a new place, try and see it as a fresh new start and a chance, look around to see if you can join new groups. You have to take these first steps yourself, but hopefully if you do, you will be rewarded in kind. Good luck.